Tod Wood and Mark England doing the BCPC proud at the Walsall 25/25 series! 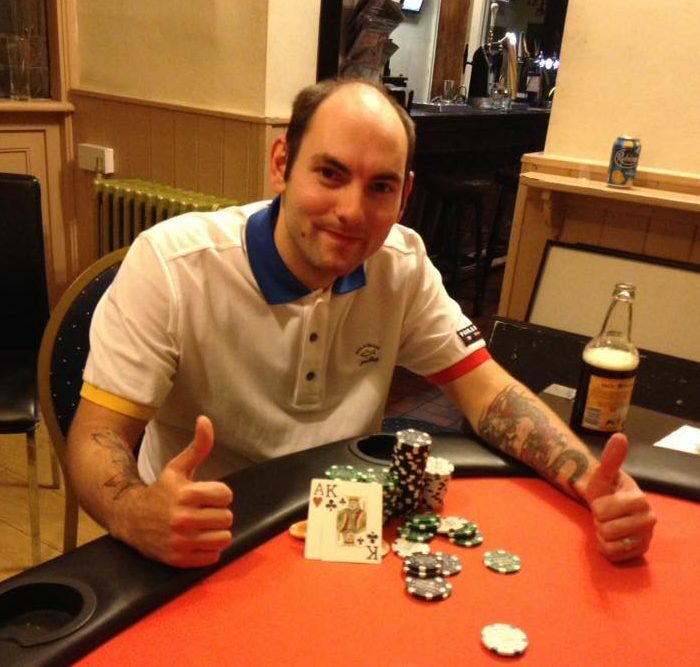 Adam Smith came from 5th place in chips at the start to win his first Premier League Title, robbing Mark England of his first BCPC Title in the process. In a turnround of fortunes, it was League Champion and chip – leader Tod Wood who was first to exit, followed by Brian Yates in 5th . 4- time Champion Steve Bayliff made the trip down from Liverpool for nothing this time as he exited in 4th place which left Graham Gorton to take 3rd spot, which looked unlikely 10 minutes before his exit when he had a big chip lead. But, as is poker, 2 big pots lost and it was all change. So it was left to Adam to edge the Heads – Up battle and lay down a marker for his return to the main League for Season 19.